What a joke. If i wanted to play wotlk or panda town i would've done it all along. Guess it's time to leave warmane for good. I am actually very satisfied with this. So long as I get equal gear or a tier below on LK it's good. It's better to play on a 12k pop server with lower gear than with BiS gear on a 10 ppl pop server lol. will we have to wait in queue tho? if you arent premium, then yes? 1. If i decide to play on the MoP realm, will my characters be transfered to that realm? Will i get max level and gear? What is the thought/idea of moving there? 2. Same question here for the Wotlk realms. 3. As I have donated a fair ammount during the years, will I be able to get a refund or similar as the server is closing? I hope this is answerable! Can I transfer to both Icecrown and Mop or do I have to pick one realm? What happens with titles? For example pvp ones, I have few r1 titles, will those transfer with character as well or will they get removed? Yeah I wonder about gear recompense as well. I mean, I understand that we will get a gear after a transfer. However, what in situation when for example someone donated for a class A on nelth and donated for the very same class A on Mop or Woltk or even both. And now he's forced to move out of Cata because its going to be closed. What in this situation? I got then 2x same donated class so its hard to call it recompensebecause I get nothing in return from cata. I believe some coins recompense for ppl in this situation should be considered because otherwise It's more like ppl in such a situation are punished for donating on 2 realms instead of 1 and while everyone gets more or less any kind of recompense they get nothing. Seeing how we aren't going any coin compensation I'm wondering how the downgrades/upgrades to WOTLK and MOP will be handled. In other words, are you going to convert an item from Cataclysm to an appropriate item to WOTLK. 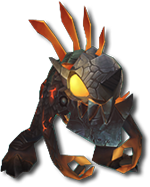 Example, Cataclysmic Gladiator's Shoulders should become Wrathful Gladiator's Shoulders. T13 410ilvl hc shoulders should become T10 ilvl 277 hc shoulders. etc. Same thing goes for transfers to MOP. This conversion is probably the most fair one since players who earned gear in-game will get compensated properly too..
Or is all the gear that didn't exist in WOTLK getting deleted and only usable one is getting transfered. (for example, you can buy T10 on Cata pretty easily with a a few justice points). But I think this is stupid and shouldn't be implemented..
Also what about other item's like mounts (that did exist on WOTLK) that aren't learned, for example Magic Rooster Egg (it's BoE), and other BoE items. I also realise this process will be extremely tedious and hard if u decide to go through it, especially downgrading but I hope you manage to pull through it for the sake of all the players who sacrificed their time to play on Neltharion. Hey, Proterean, it's been a hell of a long time. The news is quite saddening, Cata was my favourite expansion. Anyway, i was wondering how the transfer system would work? Over the course of my years here i've donated something like exalted x3 amounts and how this will be handled is a bit of a curiosity for me. Though i appreciate the work you guys are putting in to allow said transfer of characters/duplication. Sidenote, this is actually really depressing. Hello and good evening. This may strike you as ignorant, but i would like to know whether there was no way for people who spent coin to get refund on that coin so that we can spend it elsewhere with our own discretion. I do understand the morphing the gears into wotlk gear is and logical step for people who actually raided and worked towards it. Thank you. So when our characters get downgraded and we get to play wotlk and/or mop we will still be able to regain them [bold] IF [/bold] Cataclysm reemerges? Yes. As mentioned before, the character data is being stored in case that happens. I assume our forum section is getting deleted as well? Sounds interesting i have full bis geared char on cata that i'd want on Icecrown , would be cool if u gave people some coins for their recycled cata gear or swap for same value wotlk gear, tho i imagine that would be complicated.